Can't Wait for the Auction ????? BUY IT NOW for $89,900 at the PRE-AUCTION PRICE! Here's your opportunity to live in the scenic historical district of the first capital of Ohio! The settlement of Chillicothe was designed in August 1796 by Col. Nathaniel Massie & you can feel a part of the history of Ohio as you settle into the rhythm of downtown living. Not only the first but also the third Capitol....come & enjoy the diverse boutiques, eatries & crafts that Chillicothe has to offer!. 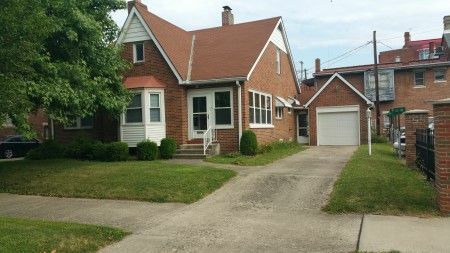 First floor designed with 2 Bedrooms & closets; Full bath; Kitchen; Living Rm w/ fireplace gas log insert; Formal Dining Rm; Den; Enclosed Porch. 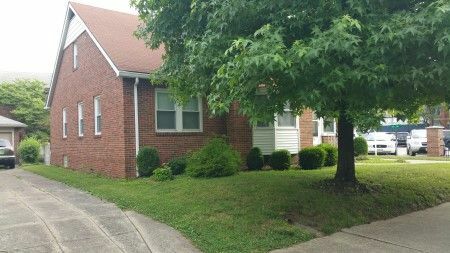 The Second floor has a Bonus Rm; Owner’s Suite w/ walk-in closet and attaached full bath with shower. The Partial Basement has a concrete floor and 3 storage rooms. The City lot has green space in front of the home as well as in the rear. Real Estate Terms: Buy it now for $89,900.00; Auction 9/13/16 Minimum Bid $$40,000.00; $5,000 down at time of sale cash/check; Balance & Possession on/before 10/28/16; taxes prorated to closing date. Offered free & clear prior to closing; Sold As-Is; No buyer’s contingencies exist; no warranties or guaranties given, expressed of implied. Taxes & Legal: Annual Real Estate Tax: $1,991.46; Ross Co. Parcel No. 305502013000; Vol. 456/ Pg. 1633; Cynthia A. Elliott, Owner; Sherri K. Rutherford, Atty.